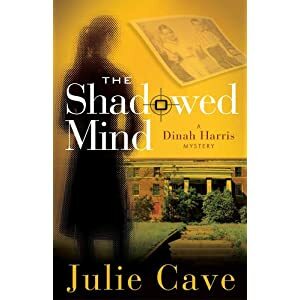 The first book in the trilogy Deadly Disclosures is a great new suspense book by Julie Cave. I would compare her to John Grisham. Honestly. I think she may be better than him. I think she will be the hottest suspense writer since John Grisham. I was hooked from the very start of this book. I couldn't put it down. I had read it in about a week, which you crazy busy moms know that's record time for a book!!! I was staying up until 1 AM to finish the book and get it done. If I didn't have Avery or a dog to tend to, this book would've been read in one day, I'm convinced! If you are into kidnappings, political crimes, suspense, mystery, murder... this book has that all and then some! Dinah Harris is the main character. She's an FBI special agent. She is a very believable character who struggles with depression and alcoholism and is haunted by the mistakes of her past. I really felt myself pulling her in and willing her to live while she had thoughts of suicide during the book. 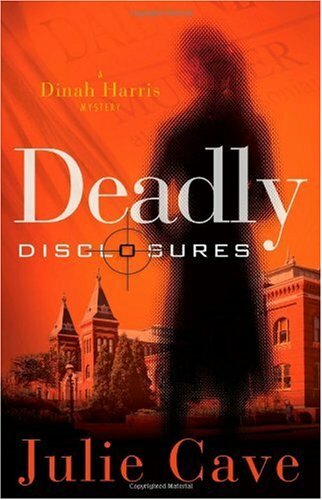 Deadly Disclosures will keep you reading. Like I said 1AM I'm usually in bed by midnight. But I would read for a whole hour every night because I couldn't put it down, no matter how tired I was. You need to read this book! AND her second book in the trilogy came out November 1st Shadowed Mind is going to be a thriller to read as well. Overall: ****** great thriller, one you can't put own. You will love it, I guarantee it!